The 365 acre Woburn Forest was the largest and most scenic site Marlborough has worked on. Marlborough delivered the £2.5 million stone cladding and precast stone cladding package in a 40 week construction programme for Principal Contractor ISG. 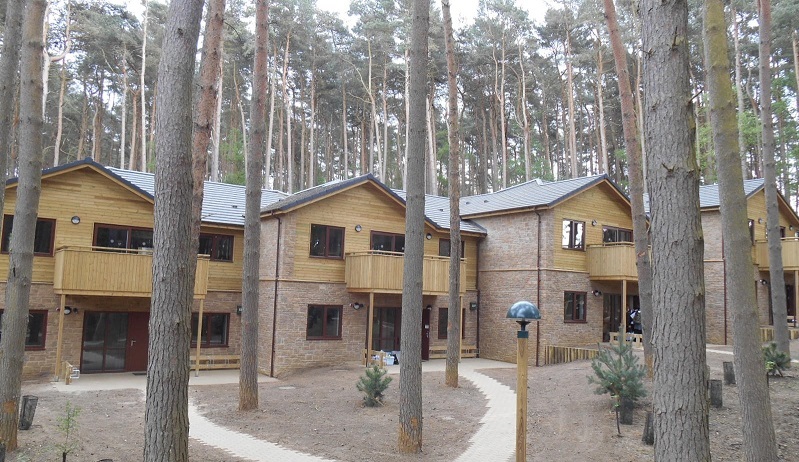 The scheme included 625 lodges and 625 individually constructed barbeques. 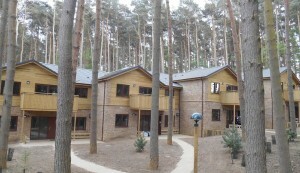 Work was completed to allow the holiday resort to open on time in June 2014. In total 16,000m2 of random rubble stone were built using over 45 masons at peak. Woburn was one of the first contracts Marlborough carried out in the South of England. The completion was followed by repeat orders from ISG for a new Leisure Centre in Walsall and a major stone built office HQ for Pheonix Partnerships in Leeds.